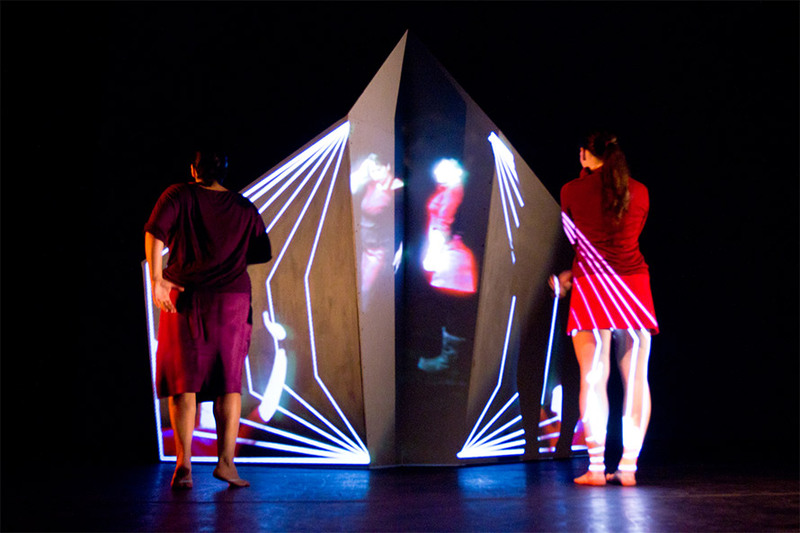 Zero Crossing is a projection mapped dance work that queries the threshold between physical presence and virtual representation. 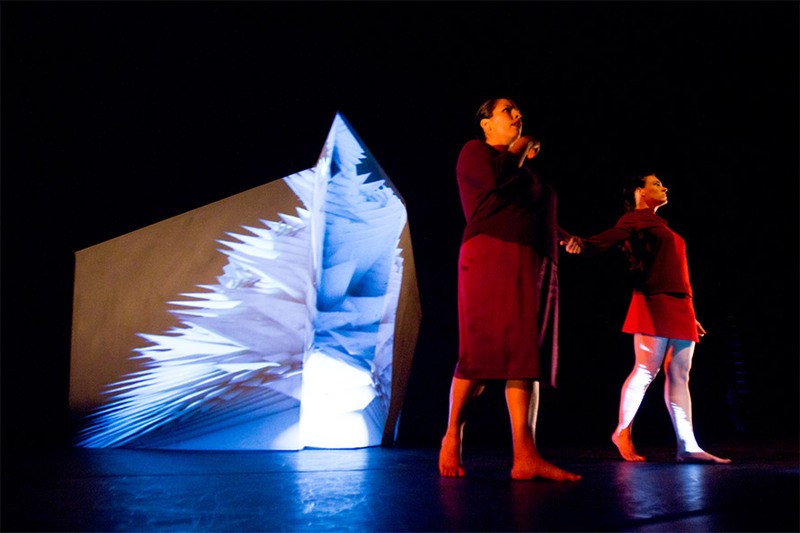 The monolithic structure and surrounding animation both embrace and become part of the context of the dancers. Concept, object, and animation by John Park. Choreography by Brad Garner. Music by Jon Bellona. Hult Center for the Performing Arts, Eugene, OR. Portland Art Museum (*4/16), Portland, OR. 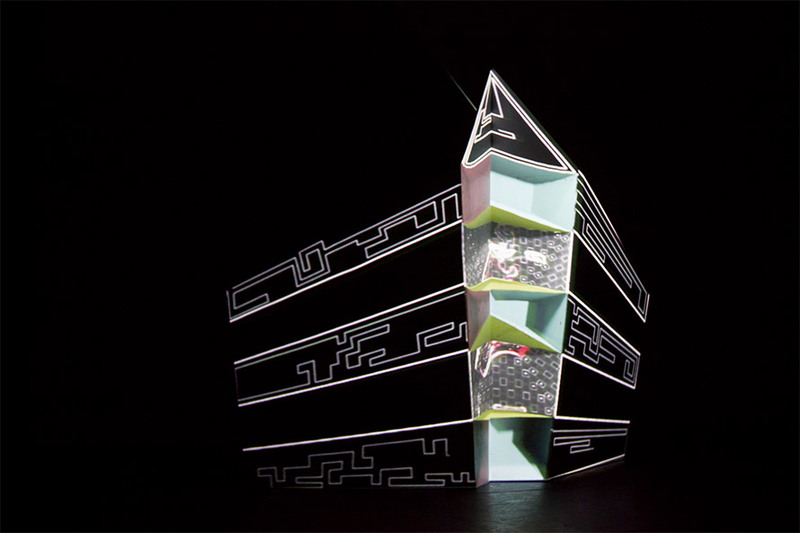 Zero Crossing has been presented in Brussels, Belgium for the KISS Conference, in the City of Eugene Parcade for the 2012 (sub)Urban Projections and in the Soreng Theater in the Hult Center for Performing Arts in the performance Four Corners.